If Coffee is your Vice then we are here to feed it! Coffee Vice is an independently owned, Christchurch-based family business. With our mobile coffee vans, we can cater for all your needs – whether it be a regular workplace visit or a boss's shout, School fairs, private functions, sports club/recreational events or a corporate event – just give us a call we can help with catering for your plans. Our coffee beans are the finest Certified Organic 100% Arabica Fair Trade Beans – imported through Trade Aid Organization of New Zealand and freshly roasted by Ris'tretto Espresso . Ris'tretto has won SILVER at the past 3 NZ coffee awards with their beans and we are proud to serve their award winning coffee. 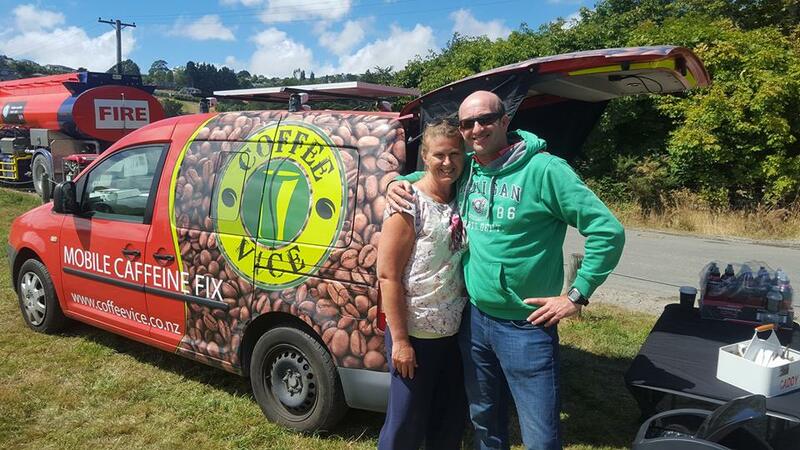 To get Coffee Vice to come to you or your event just contact Tania 0272223420, Paul on 0224019911 and Amy on 0279127942, or email info@coffeevice.co.nz or use the contact form above. 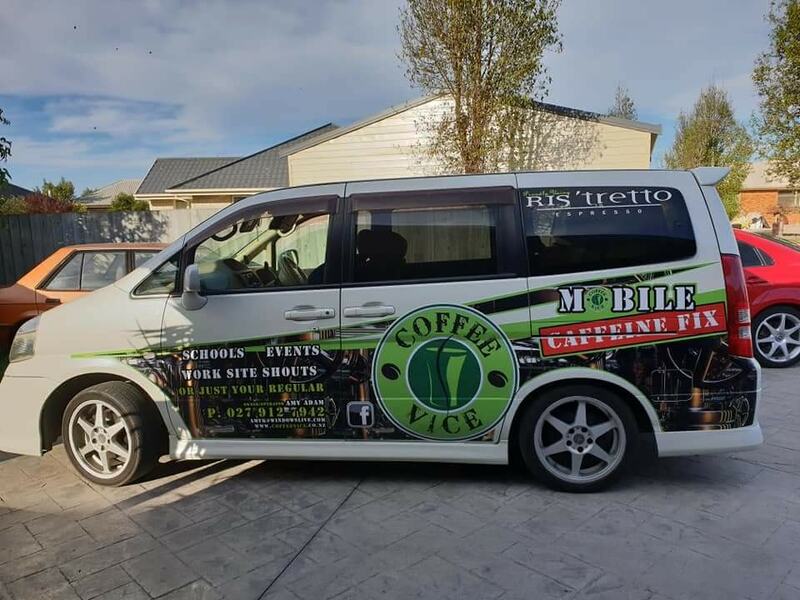 Coffee Vice now have two vans and a new coffee and food trailer on the road as the demand for our Caffeine Fix increases in and around Christchurch. Amy will be out and about in her Silver Honda while Tania can be found in the VW Caddy and Paul will man the new silver trailer. In what must be one of the coolest looking Coffee and Food Trailers going around, we have added this little beauty to the CV family. Polished alloy and all stainless inside, she is a visual piece of beauty. Paul will be delivering our fine Ristretto coffee along with cake, slices, donuts, cold drinks, shakes and during soups. Keep an eye on our Facebook page to know where we are.